With her creative spirit and charisma, freshman Taylor Jacobs is excited to jump into the new school year. As a new member of LHS and The Bell staff. Jacobs is excited for all the experiences offered here. Jacobs joined newspaper staff to get out her comfort zone and get to know more people around the school. Jacobs also joined newspaper with friends and is delighted that she gets to experience her first year of newspaper and high school with them. 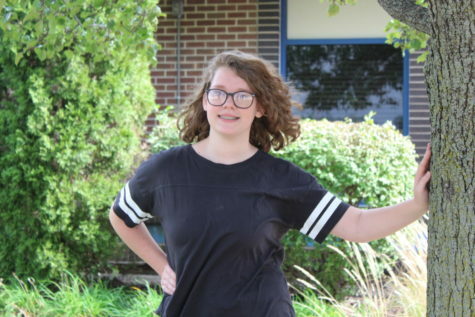 This year Jacobs plans to join Key Club to serve the community and Anime Club because of her love for creating art. Outside of school Jacobs enjoys painting and drawing. “Usually after I finish my homework I will pull out my sketchbook and draw whatever comes to mind,” Jacobs said. Escaping from reality is one of Jacob's specialties and her favorite way to do this through books. Jacobs’ favorite book is Akata Witch by Nnedi Okorafor which is a story about finding your place in the world, just like how Jacobs is ready to find her place at LHS. This year is going to be a an exciting ride and with the help of her friends and newspapers staff, Jacobs is ready to tackle the year.